REGENCY 456 table is designed with features specific to OB/GYN examinations and procedures. 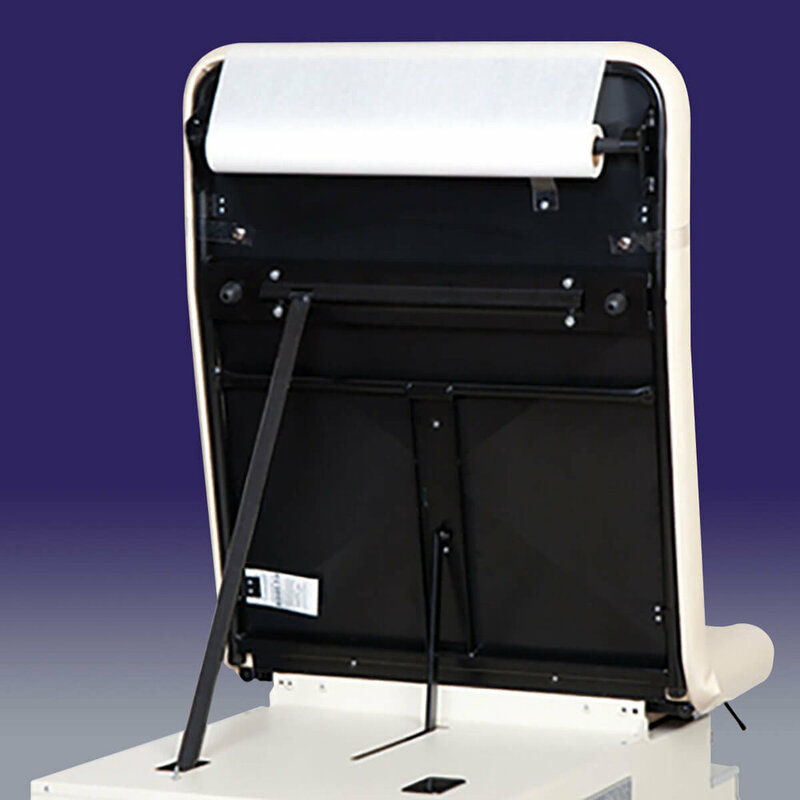 The integrated moulded recess in the seat section, multi-position stirrups, two position pelvic tilt and instrument warming drawer all assist practitioner in providing the patient with a positive experience. The independent operation of the irrigation basin and leg extension, access to the table's dual electrical receptacles and utilization of five storage drawers helps each appointment be efficient and cost effective. Dual Electrical Outlets, 9 amps total load.